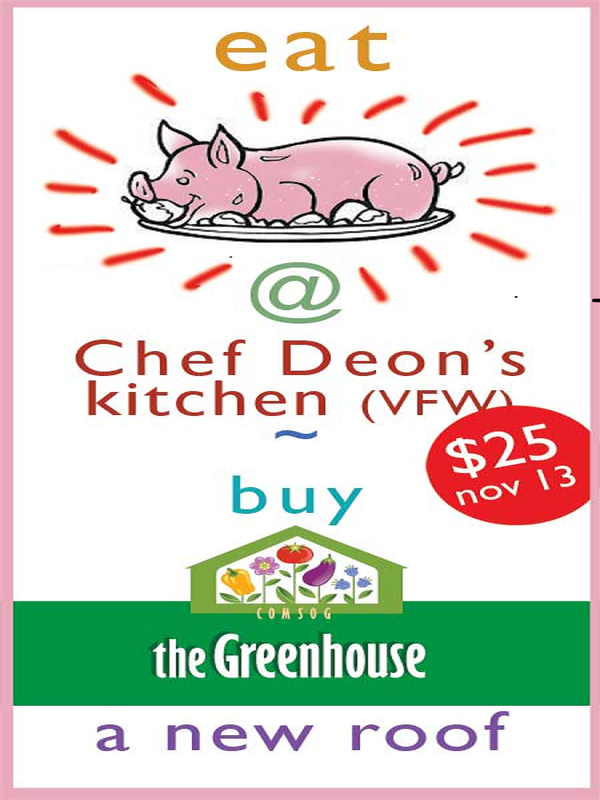 The Greenhouse is celebrating fall with a Pig Roast Dinner. 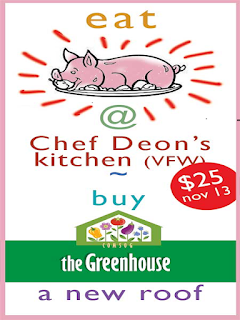 The pig was donated by Scapegoats Goatscaping and being prepared by Chef Deon. This is truly a cooperative event that help us fundraise for a new roof. The greenhouse is growing plenty of lettuce and other greens for a sample of our bountiful Greenhouse salads. We are also asking local community members to provide music and items for a silent auction.